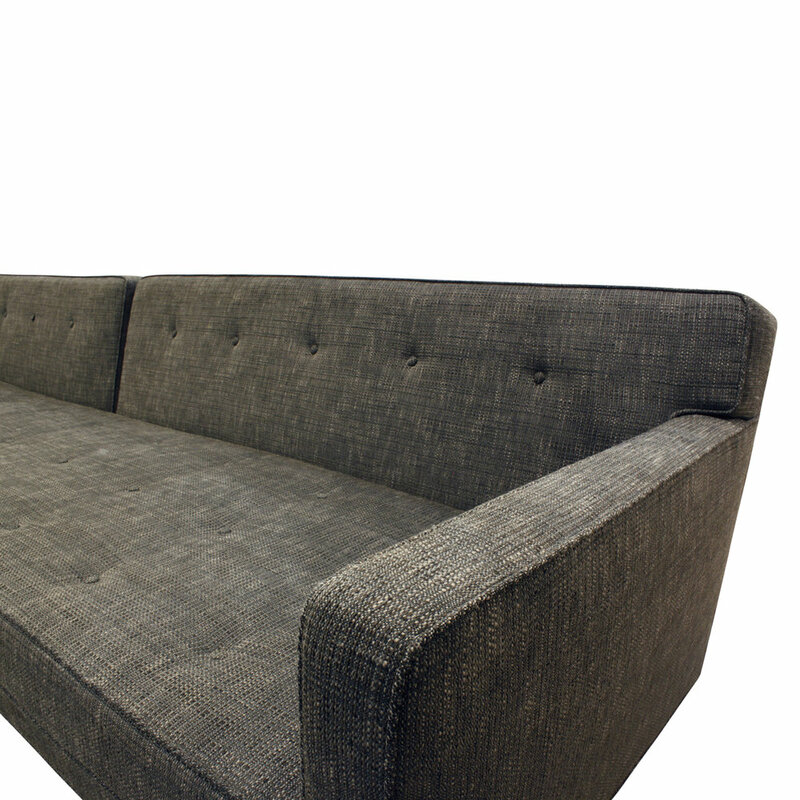 Clean-line sofa model No. 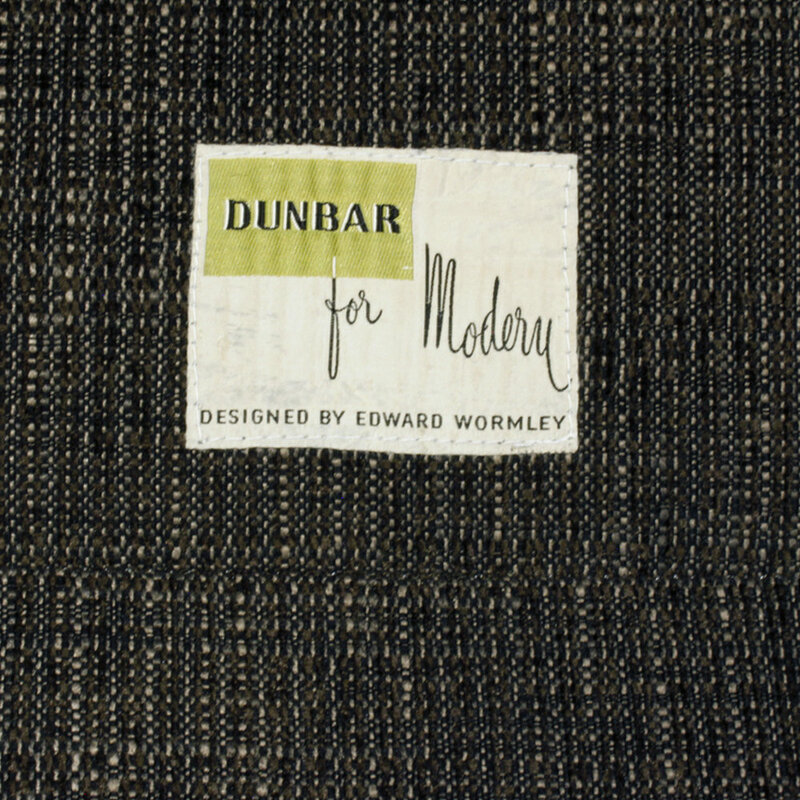 5125 with conical brass legs by Edward Wormley for Dunbar, American 1951 (retains original Dunbar label). 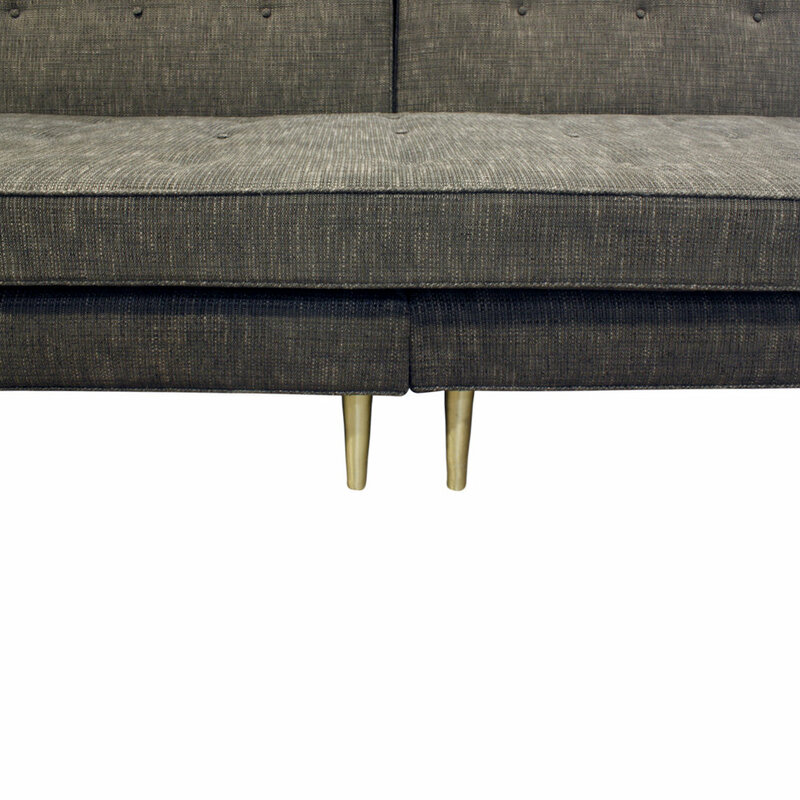 This is a long version of this sofa which breaks down into 2 pieces so it can be easily moved in a small elevator. 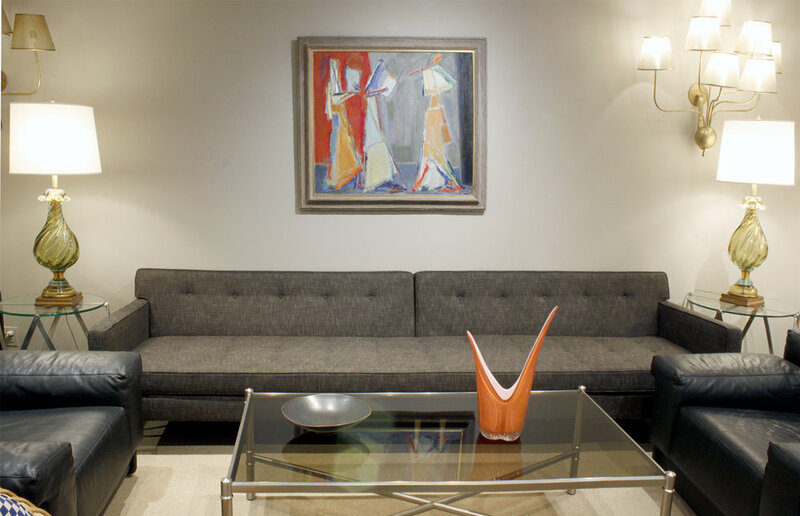 A timeless original Edward Wormley design.